Sometimes we come across an income property deal so good we can’t keep it to ourselves. 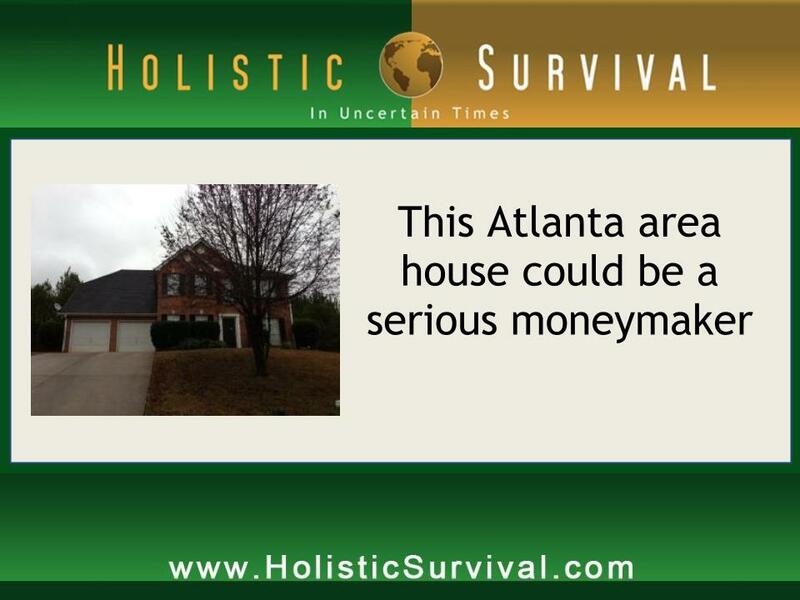 With the common client refrain, “But there aren’t any good properties left,” ringing in our ears, we offer the following positive cash flow deal in the Atlanta area. It’s available RIGHT NOW if you have the downpayment ready to go. Here are the details. This 4 bedroom, 2 bath property occupies 2,154 square feet in the town of Lithonia, which is about 20 miles from Atlanta. With an asking price of $128,900, your downpayment is $25,780. Toss in loan origination fees and depreciable closing costs and your grand total to own the property is $31,709. This one is ready to rent and already has property management in place. The truth is it’s getting harder to find premium deals like this in the Atlanta area. But right now you’re probably more interested in how much you can make with this income property, right? The average monthly rent for properties like this is $1,150, which yields a positive cash flow of $227 per month once ALL expenses (including mortgage payments) are taken out. This is a perfect illustration of the investing ideas Jason Hartman has been talking about for years. This is an asset that truly pays for itself one month at a time. You can take an in-depth look at the numbers we calculated HERE but the bottom line is a 9% cash-on-cash return and a 38% total return on investment during your first year of ownership. As we like to say, don’t try that in the stock market, even on a good day. This particular property sold in 2000 for $141,000 and was foreclosed on in 2006 for $180,000. Any way you look at it, the place is priced to move and we’re not just bloviating when we say it won’t last long. If you’re serious about getting into income property investing or making an addition to your portfolio, please call Sara Liskey, one of our friendly investment counselors, at 714-820-4234. She’ll be happy to answer questions and even get the ball rolling towards a purchase once you’re ready. The numbers are our best guess, based on more than two decades of experience, at how your investment should play out. Of course, reality sometimes ignores the best laid forecasts of mice and men. Remember What the Constitution Says? What Does Memphis Have To Do With Your Economic Survival? Is It Safer to Invest in Foreign Real Estate? What if Wall Street took your nest egg?